Due to the introduction of advanced batteries with excellent output and compact dimension, the AA battery is no longer the optimum design. But in term of availability, nothing can beat this venerable guy which accounts for more than 50% of the standard battery market. 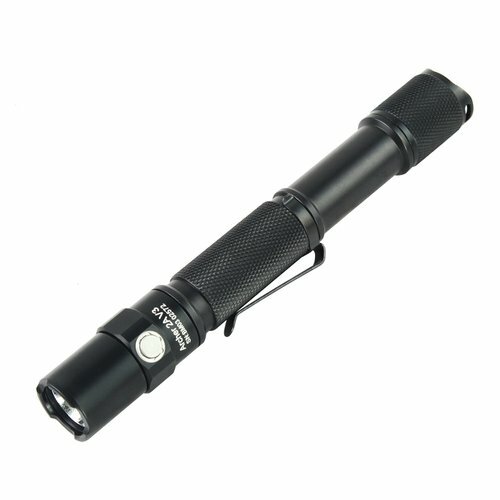 Finding battery for the best single 18650 flashlight and alike could be a difficult task depending on where you live. On the contrary, you should have little trouble finding a packet of AA battery anywhere you go from a convenience store to a gas station. As a result, you are able to readily obtain replacement battery for your AA flashlight when the need arises. Easy to find and simple to use, AA battery remains popular long after its birth. Updated variants of the AA battery offer the users a nice boost in performance as well. There are 5 light settings available at your disposal: Strobe, High, Medium, Low and Firefly. To cycle through the modes, all you have to do is manipulate the side switch. The flashlight is able to remember the last setting you use and automatically engage that the next you activate it. At the end of the tail section is the On/Off switch, move the cap halfway to turn on the flashlight temporarily. Push the switch all the way till you hear a “click” to activate the Archer 1A V3 for good. Battery replacement is quite easy, remove the tail then insert the new battery with correct polarity position. After that, tighten the tail and that would be it. 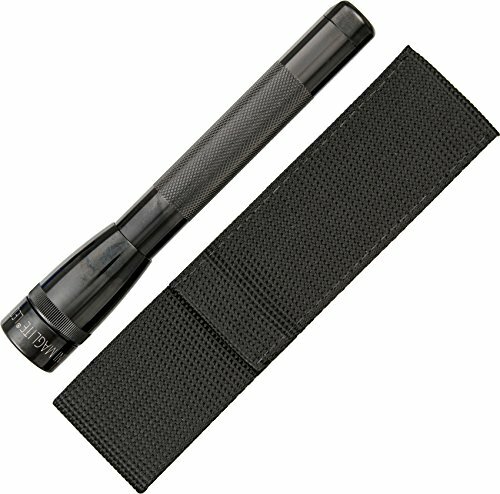 This is the best single aa flashlight that you dont want to miss. Want to get a reliable and sturdy tactical flashlight? 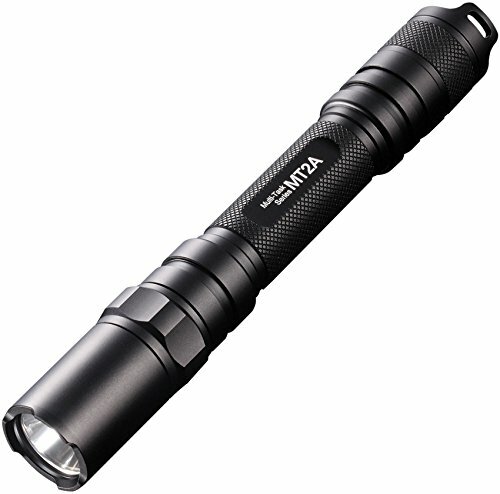 Then you better take a good look at the Nitecore MT2A. Made from hard anodized, premium grade aluminum alloy, it’s among the best 2AA flashlights money can buy. Thanks to the reverse polarity protection, the flashlight is well protected against incorrect battery installation. The ultra-clear mineral glass and the aluminum reflector ensure a smooth yet powerful beam for the MT2A. Besides the flashlight itself, accompany accessories include 1 clip, 1 lanyard, 1 spare cap and 1 spare O ring. A unique feature of the MT2A is its mode changing schemes, you have two primary settings: Turbo and User Defined. The Turbo mode offers the maximum output which can be engaged by tightening the head of the flashlight. To avoid getting overheat and extend the overall runtime, the flashlight promptly reduces its current after 3 minutes of Turbo mode. On the other hand, the User Defined mode lets you adjust the brightness and function by loosening the flashlight head. Gently press the switch at that state would let you run through 5 different light setting: High, Mid, Low, SOS and Strobe. Press the switch all the way to save the current mode. 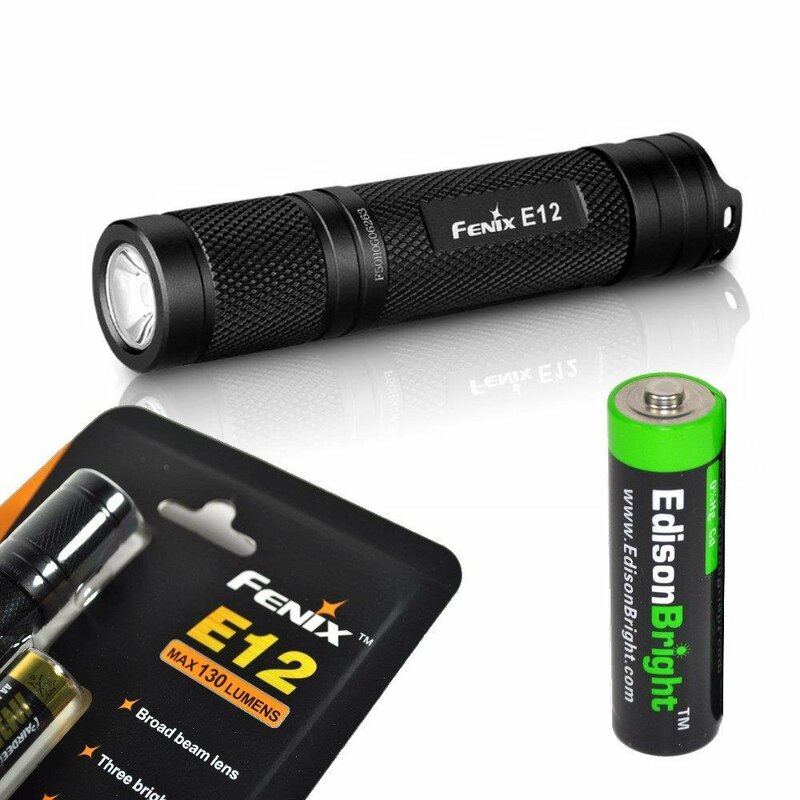 Choosing a best 2 aa flashlight edc will be easier with that awesome candidate. Powered by 4 AA batteries, the Sunwayman D40A is a tactical flashlight capable of handling heavy-duty uses. The cylinder shape body is really easy to hold in one hand, it also requires little inventory space as well. Since the tail end is completely flat, you can make the flashlight stand up on its own like a candle. On the highest setting, the maximum light output is 980 Lumens, much better than other products in the same price range. The quality CREE XM-L2 LED bulb could last up to 50,000 hours if you take good care of it. Having a rather humble profile, you can easily hold the entire body of the palm-sized Fenix E12 with one hand. 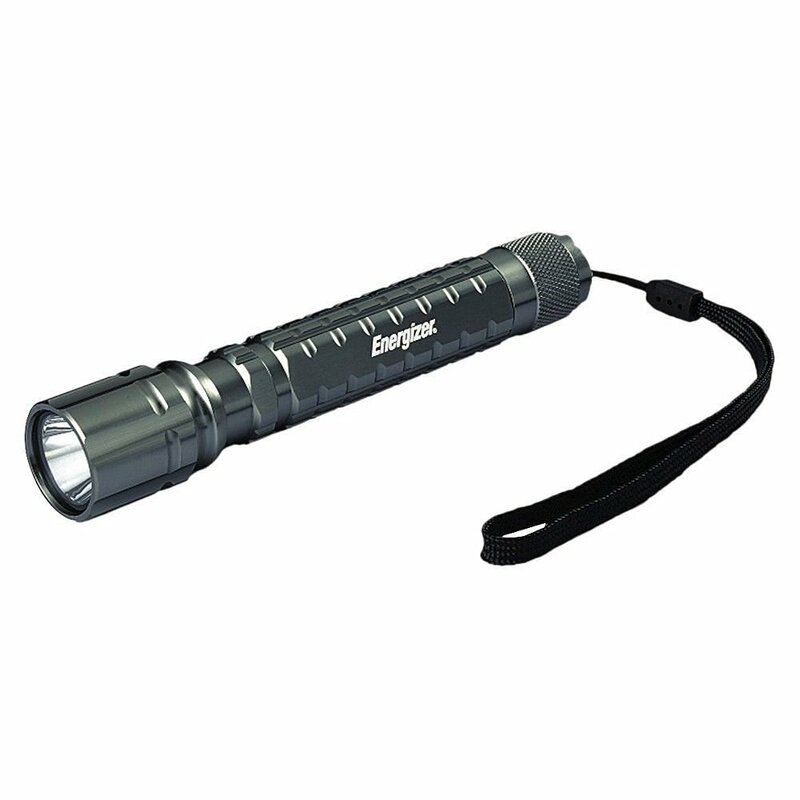 The high strength aluminum frame provides the flashlight with a robust and long-lasting performance. Its water resistance level is rated at IPX – 8 so it should remain functional after being submerged for quite some time. On the brightest operation mode, the Fenix E12 beam could reach a maximum distance of 88 meters. There are 3 light setting to choose from: High, Medium and Low. The estimated run time varies from 1.5 hours to 40 hours. Despite its limited dimension, you should not underestimate the brightness and durability of the J5 Tactical V1-Pro. While it only utilizes 1 single AA battery, the flashlight beam can achieve a maximum output of 300 Lumens, much better than some 2AA products. You can even modify the focus of the beam if you want to by adjusting the head section. The ergonomic on its exterior surface makes it comfortable to hold the Tactical V1-Pro. 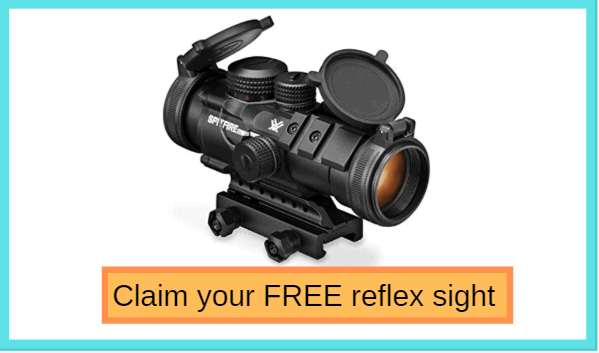 It’s suitable for a wide range of activities such as cycling, camping, hunting and so on. 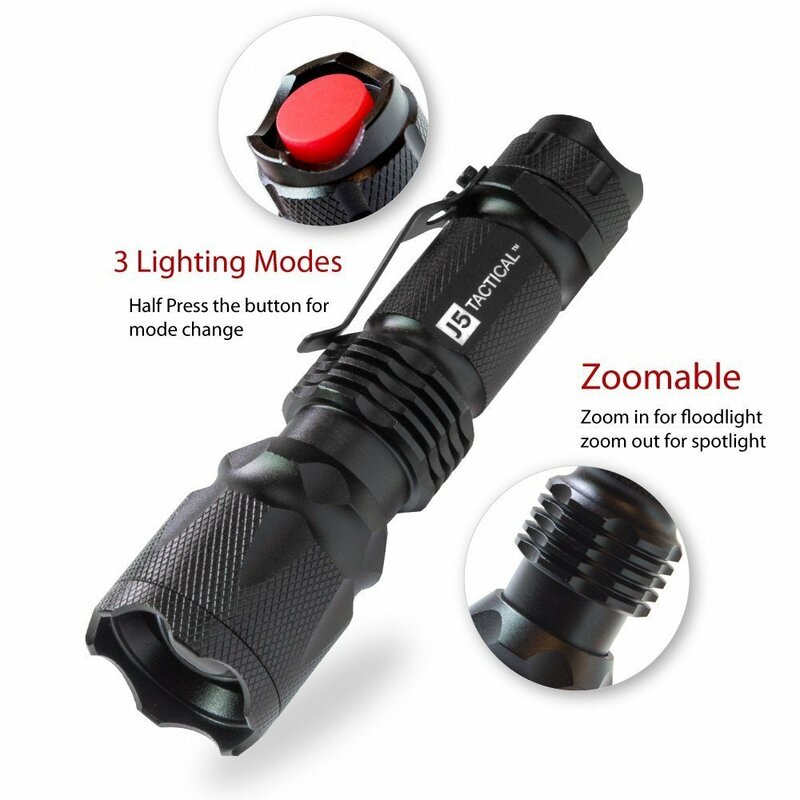 With no doubt, this is one of best single aa flashlight 2018 that you should purchase. 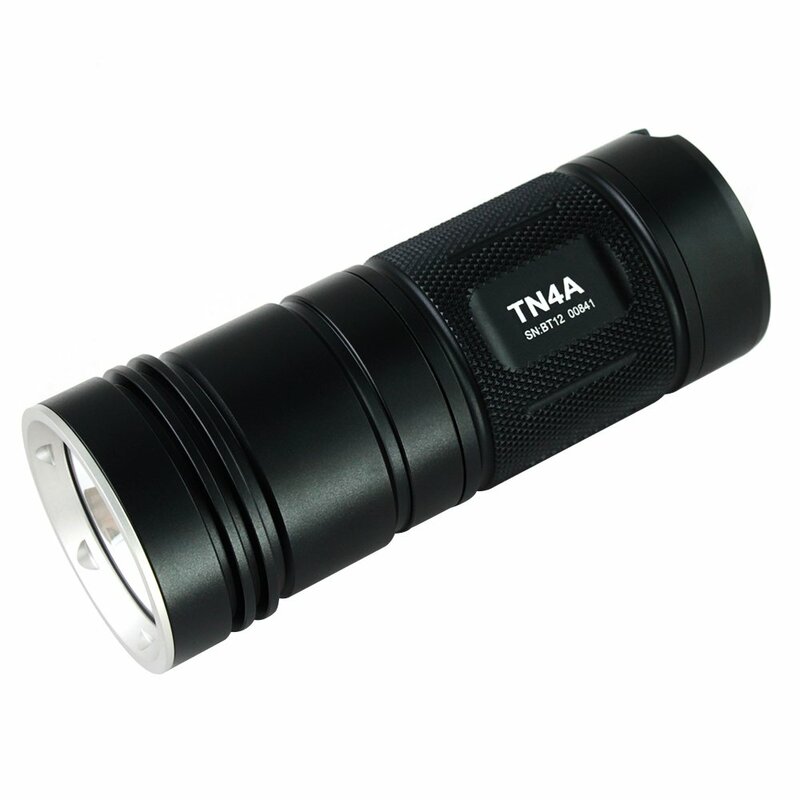 Using up to 4 AA batteries, the ThruNite TN4A LED got the ability to deliver a maximum light output of 1,150 Lumens. 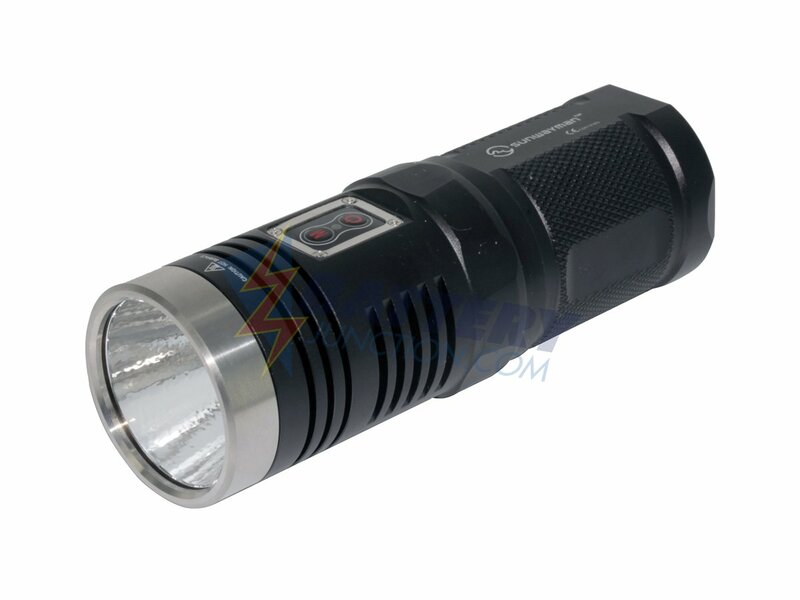 Its hardened lens and anti-reflective cover permit the flashlight to produce quality beams. Due to the presence of the Intelligent Temperature Control technology, the TN4A LED is well protected from overheating, therefore, its lifespan is substantially expanded. There is also a battery indicator as well. Couple with the availability of AA battery, you shall have a satisfying experience using this flashlight. Versatile and tough, the Streamlight ProTac is a great choice for a personal flashlight which you can bring along everywhere you go. The coated aluminum body saves a lot of weight while maintaining a high level of structural integrity. Running on the highest mode, the flashlight is able to deliver an output of 250 Lumens out to 130 meters. However, the runtime of the ProTac is considerably reduced while using the maximum setting. The lowest mode let you operate the flashlight for more than 2 days though, ideal for continuous uses. Nonetheless, there is no way to tell the battery life so it could be troublesome in some cases. If you are looking for a best 2 AA flashlight, picking this one and it will not make you disappointed. 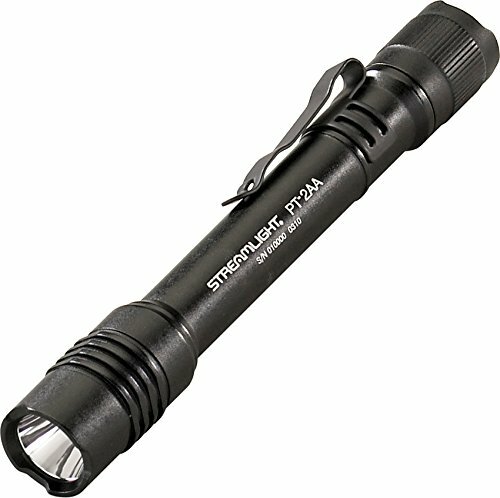 Designed for personal use, the Energizer High Intensity flashlight is pretty much the simplest product on the market. There is only one brightness mode so the flashlight is only good for light duty tasks. To avoid rolling on flat surfaces, it got a series of grooves on the exterior. 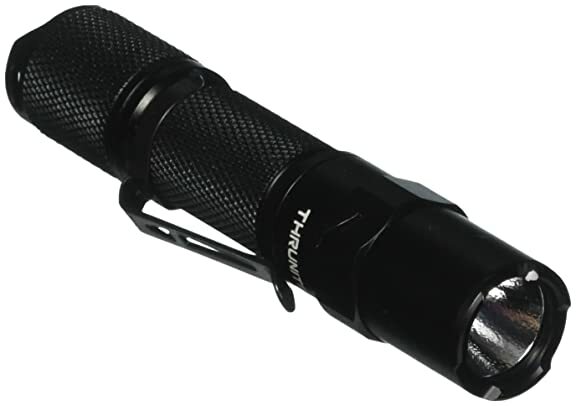 Couple with the knurled barrel, the flashlight is convenient to hold and feel quite good in your hand. The casing is made of aluminum, it’s both tough and light at the same time. In term of resistance, it’s waterproof and should survive a 1-meter drop no issues. Above are reason why we choose this is one of the best aa battery flashlight for you. The advance of technology means the size of a flashlight has a rather negligible effect on its performance. Nonetheless, the flashlight dimension still impact the general handling somewhat so make the decision based on your taste. A small flashlight got great mobility and simple to carry but it’s could be hard to find it in total darkness. On the other hand, a big flashlight is much easier to locate in low light environments and durable in the long run yet it may be bulky to put in your backpack. In the usual case, you don’t necessarily have to get the most expensive flashlight but don’t settle with cheaply made stuff either. Plastic is acceptable if you have a tight wallet but for sophisticated needs, it’s advised to go after aluminum or stainless steel. The toughness of the construction material shall decide the resistance of the flashlight against water and impact force. To simplify the selection process, think about how you are going to use the flashlight. 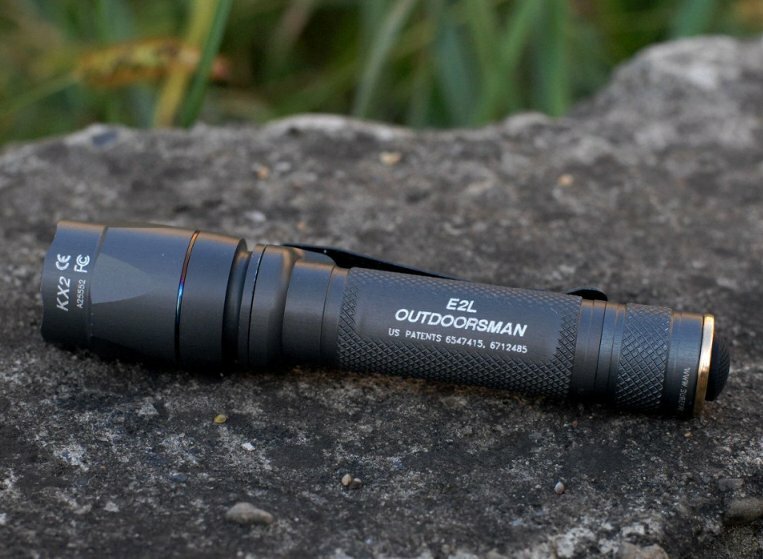 A rarely used flashlight often has lower requirements compared to an EDC or a tactical one. Obviously, tough body materials tend to add extra weight to the flashlight bulk but it’s generally acceptable. For a frequently used flashlight, endurance is essential before picking your best aa battery flashlight. The brightness of a flashlight is measured in Lumens, the higher the Lumens, the brighter the beam. Of course, flashlight output also closely related to the drain rate if the battery. A modern flashlight tends to offer multiple light settings with a variety of light outputs to match different demands. Running the flashlight on the highest setting should produce the brightest beam but the battery would be depleted much quicker and may lead to overheating. Depend on whether the flashlight utilizes a flood or spot beam, the maximum illumination distance would change accordingly. When the time comes, you want to get the flashlight up and running as soon as possible instead of fumbling with it in the dark. Therefore, a straightforward and linear user interface is among the top priorities, you must be able to manipulate the flashlight as you like. Certain products may require you to twist the head section or rotate a side switch to change the light settings. In order to do that, you have to use both of your hand to hold and cycle the operating mode. And those are some of the best AA battery flashlights money can buy, anything catch your attention yet? With the help of the information above, you should have no trouble picking a suitable product for yourself.